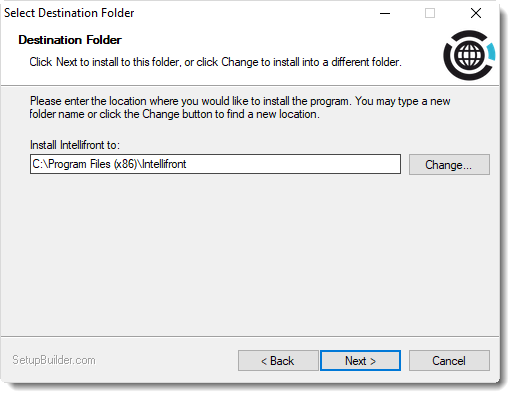 How do I install IntelliFront BI? 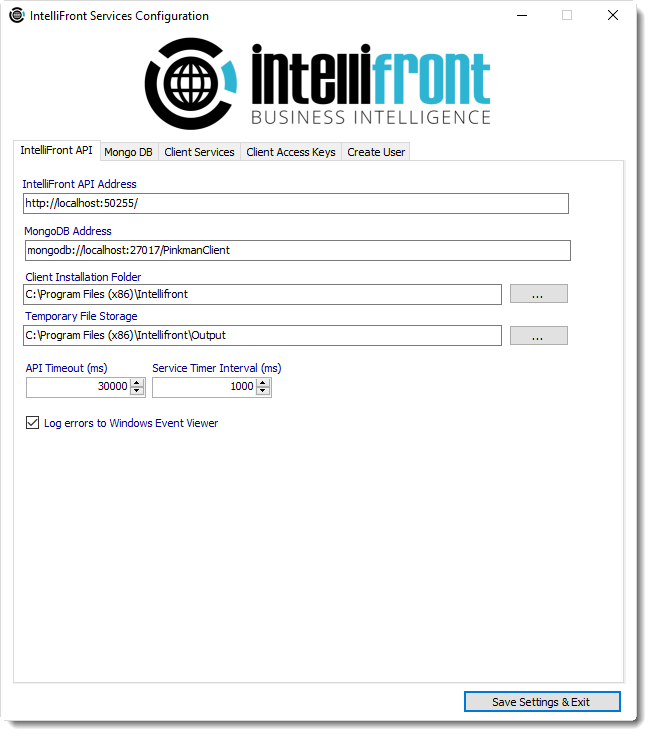 This is a step by step installation process for IntelliFront BI. 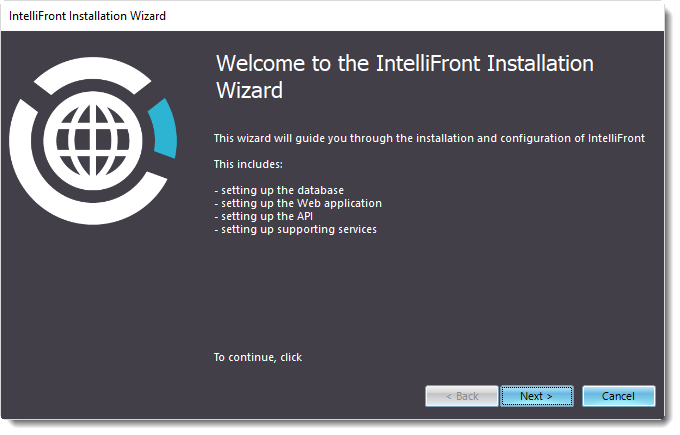 Before beginning the installation, please ensure that ALL of the prerequisites listed on the IntelliFront BI Prerequisites page have been met. 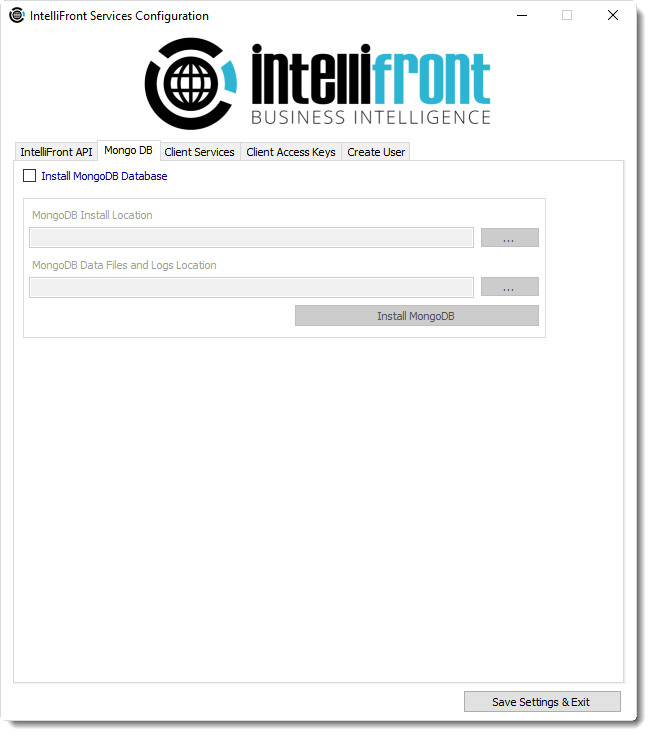 This ensures that IntelliFront BI runs as expected. 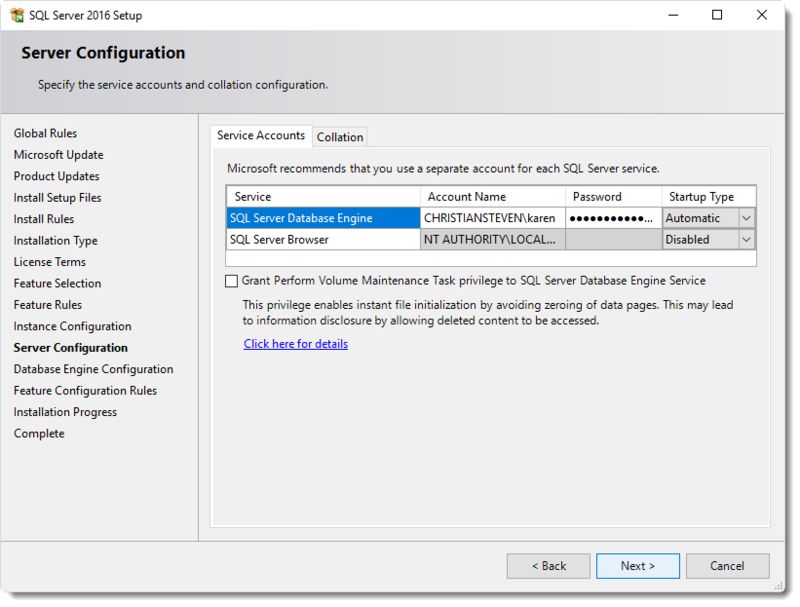 Failure to meet the listed prerequisites may result in errors occurring. 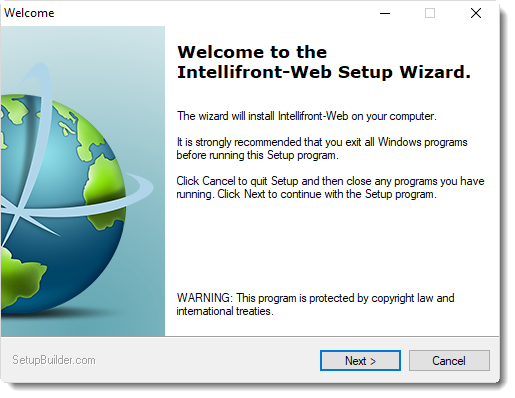 Except for trial users, Installation and Configuration of IntelliFront BI on a new machine are not part of normal technical support. 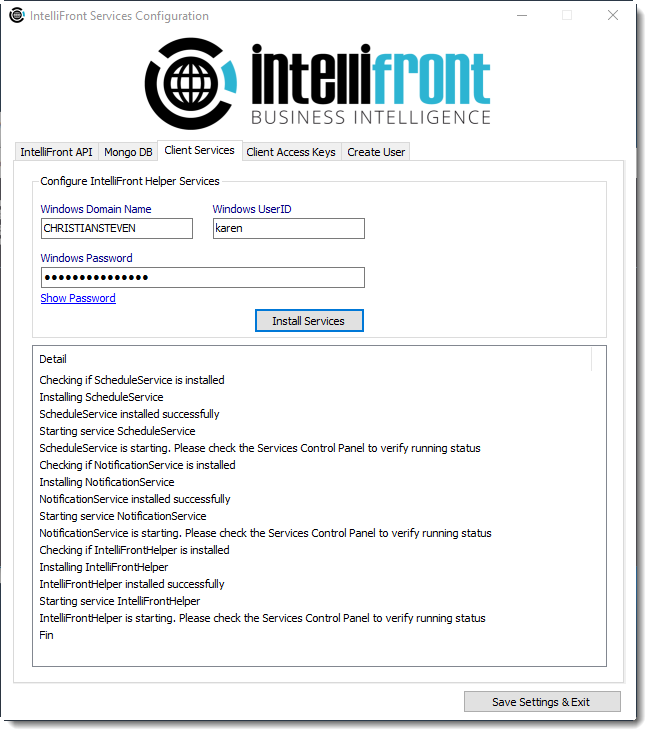 If assistance is needed or requested during the IntelliFront BI installation or configuration process, Professional Services can help for a nominal consultation fee. 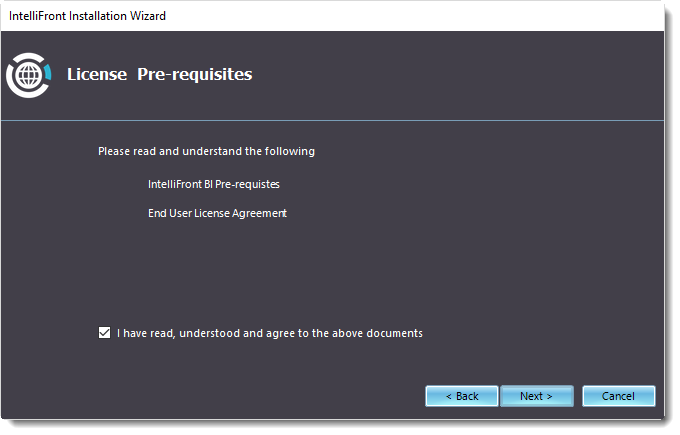 These steps must be completed prior to running the IntellIFront BI installer. 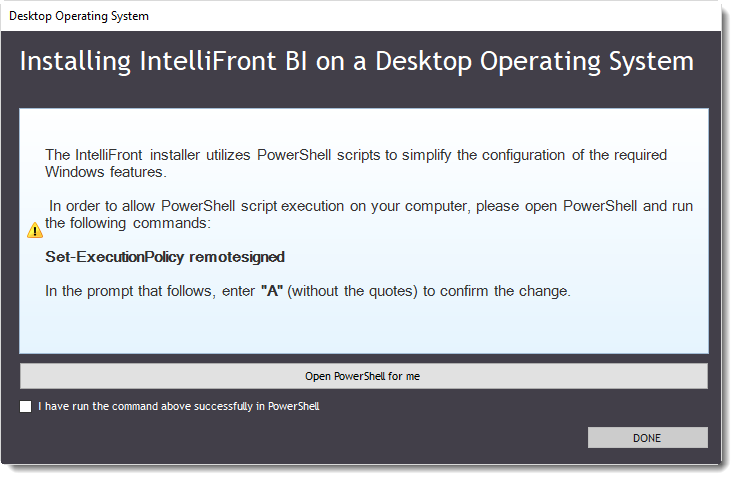 If you are installing IntelliFront BI for the first time on this machine, turn off the User Account Control (UAC). 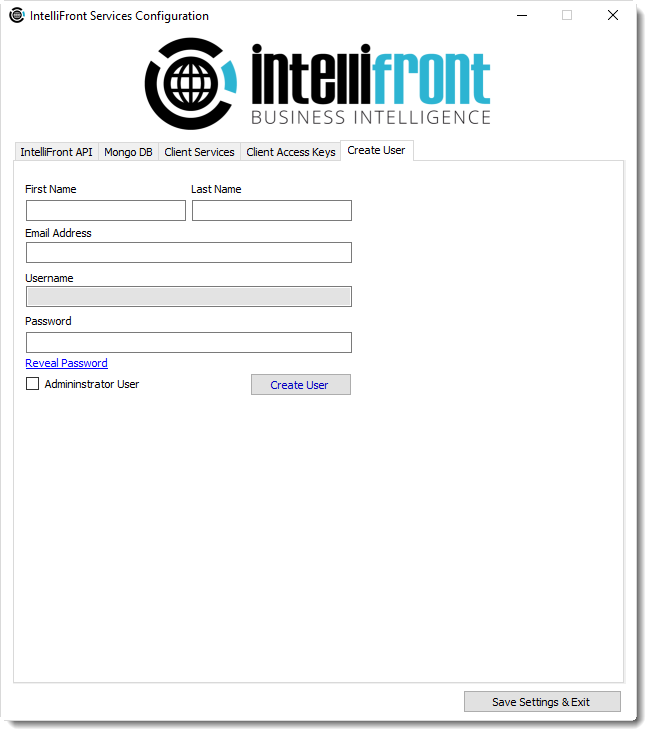 You can turn it back on once the installation of IntelliFront BI has completed. 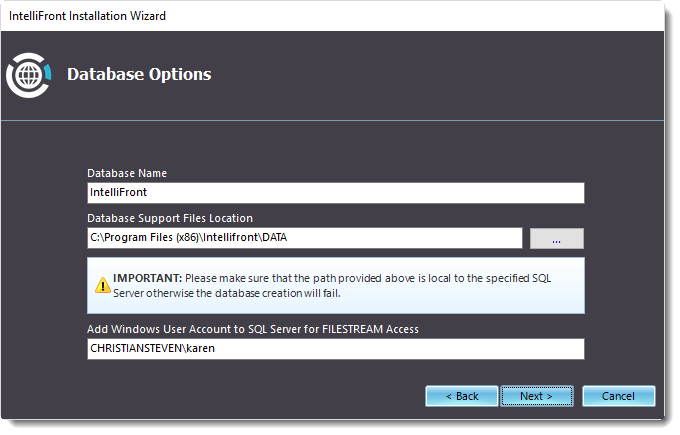 Open the appropriate IntelliFront BI version/build folder. 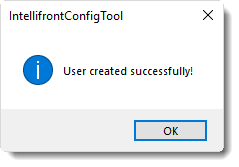 Highlight and then right-click the IntelliFrontSetup file. 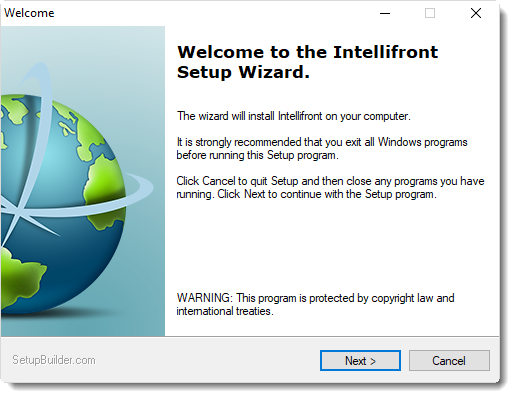 Right-click the IntelliFrontSetup.exe and select Run as Administrator. You can unzip the files to the default location or to a location of your choice. Click Unzip to unzip the files, this will take a few minutes. 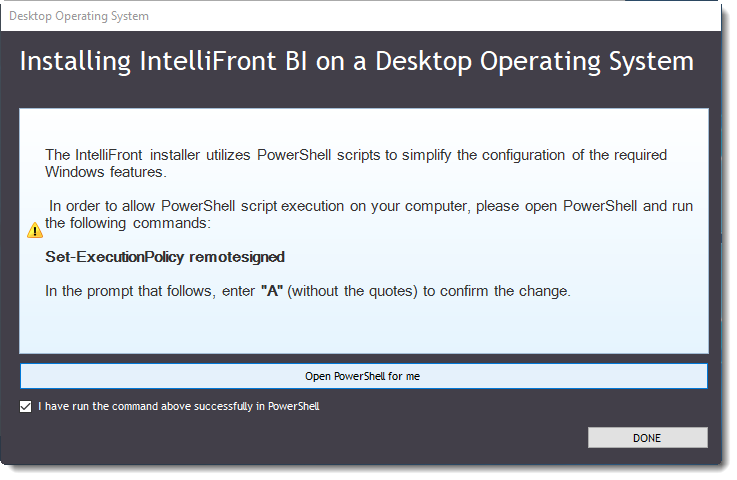 After unzipping is complete if you are installing IntelliFront BI on a Desktop operating system the following dialogue box will automatically be displayed for you to enable PowerShell script execution. To do this click on the option to Open PowerShell for me. 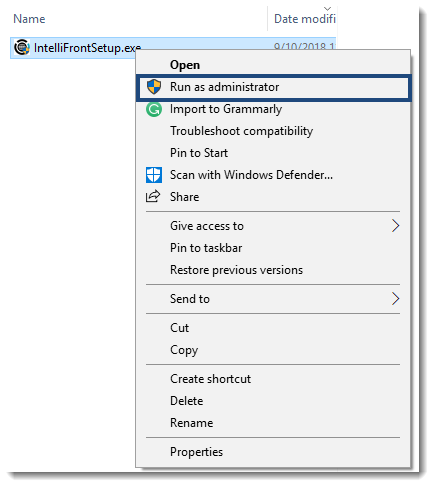 Make sure you are running Power shell as an administrator. 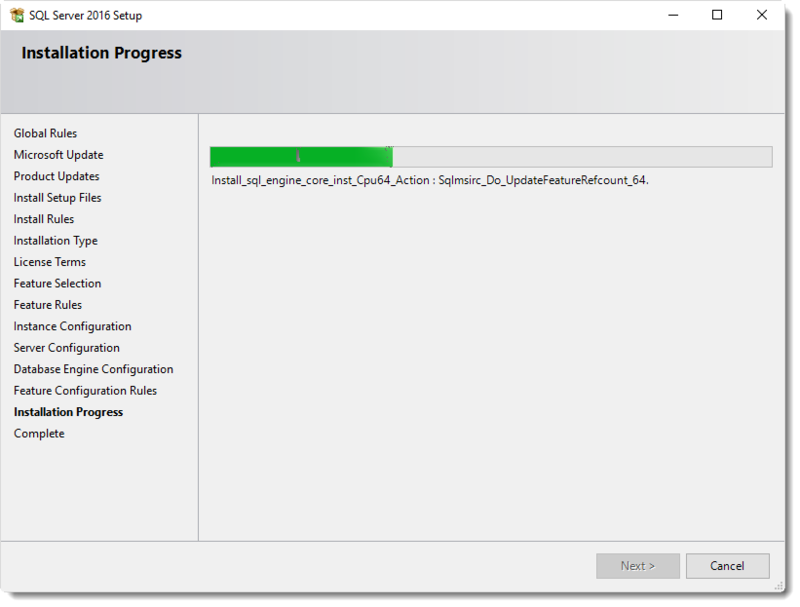 From this screen Type in Set-ExecutionPolicy remotesigned. In the prompt that follows press A. 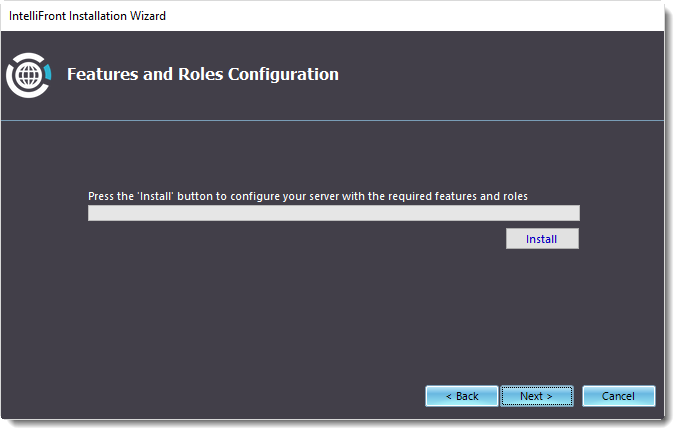 Once you have done this return to the installation wizard and check the box for I have run the command above successfully in PowerShell. 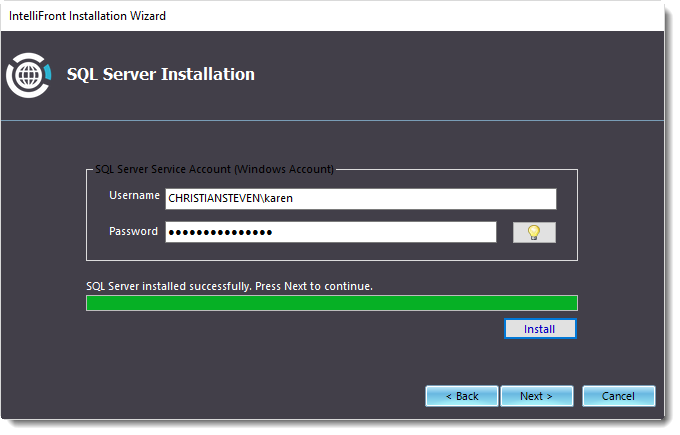 Click Done to continue with the installation. Please read and understands the Pre requisites and End User License Agreement documents before continuing with installation. 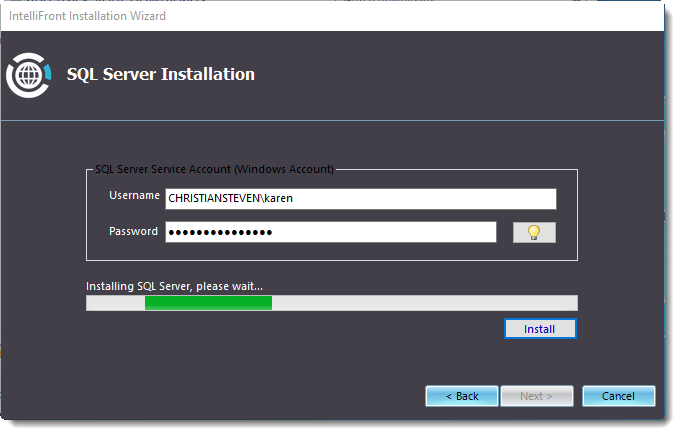 Check to say that you have read and understood before clicking Next to continue with the installation. 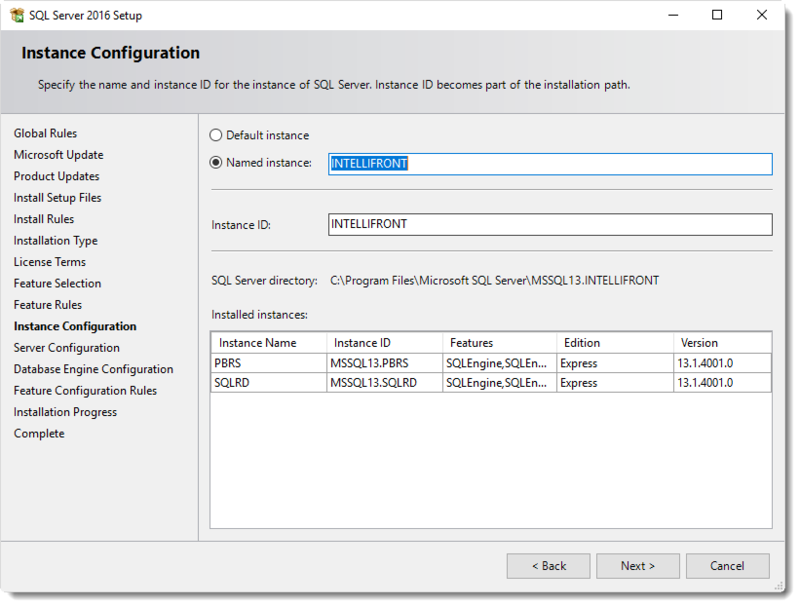 If you already have a version of SQL Server 2016 installed on the machine where you are installing IntelliFront BI you may be asked to perform a new installation or add features to an existing instance. 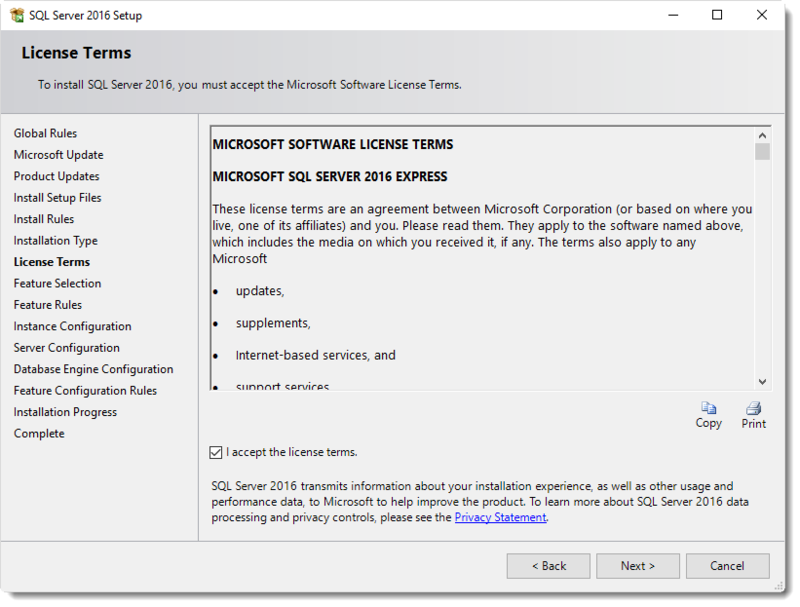 After selecting new installation, check to accept the license terms. You can accept the defaults. 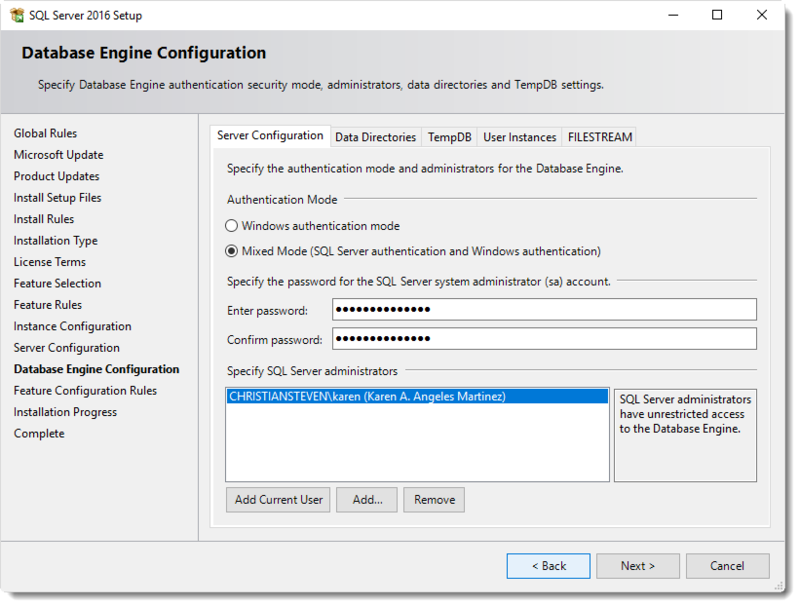 Enter the password for the SQL Server Administrator. Confirm the password. 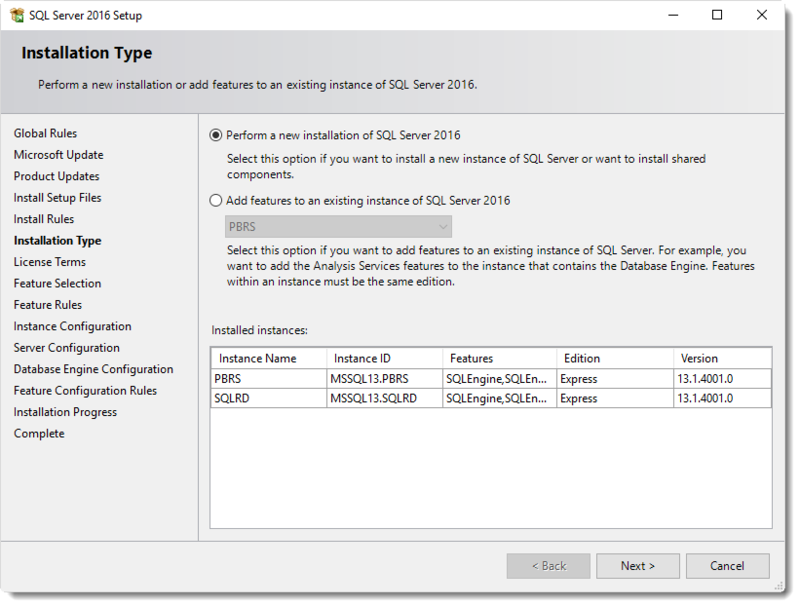 Once installation of the SQL Server 2016 has been completed the following screen will be displayed. Click Install if install does not continue automatically. 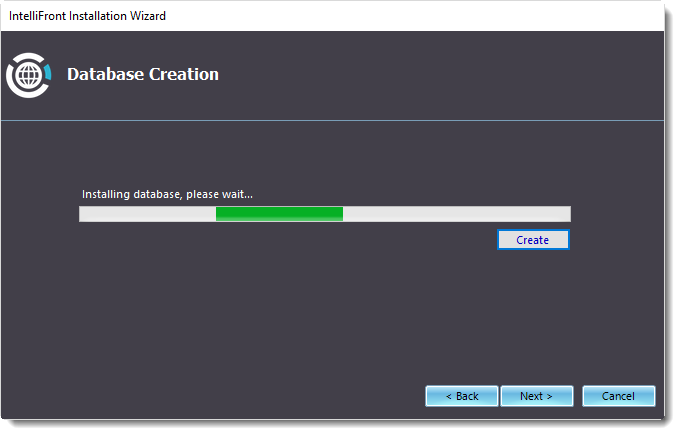 Click Create to create Database. Once the Database has been created successfully the following message will be displayed. 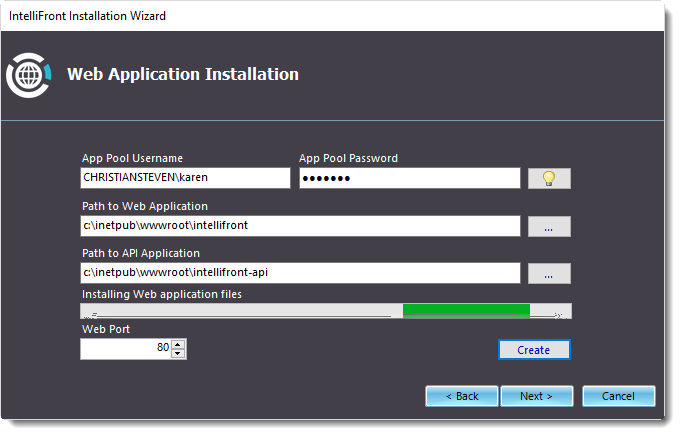 Click Create to create the Web Application installation. 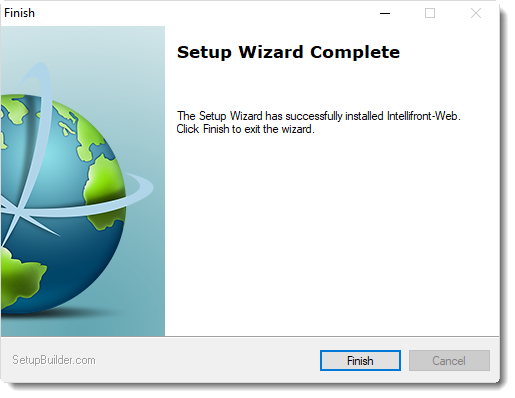 The IntelliFront - Web set up wizard will now be displayed. Follow all the steps in the Wizard. Accept the default path or change it if you need to. 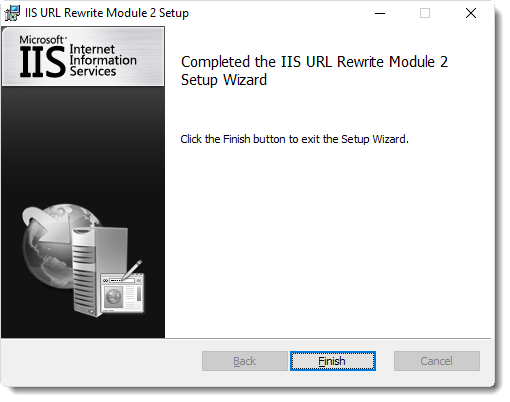 The Microsoft IIS installer will now open. 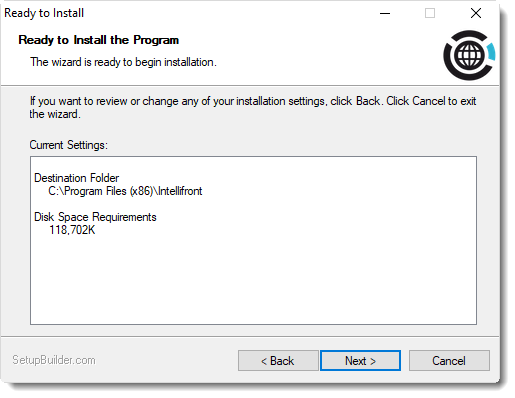 Accept the license terms to being the installation. 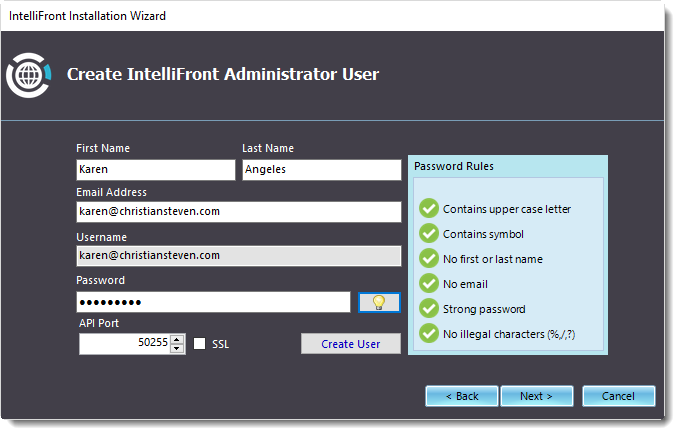 Create an IntelliFront BI Administrator User. You will need to use the information to log into IntelliFront BI after installation is completed. When you have all green check marks for the password, click Next. 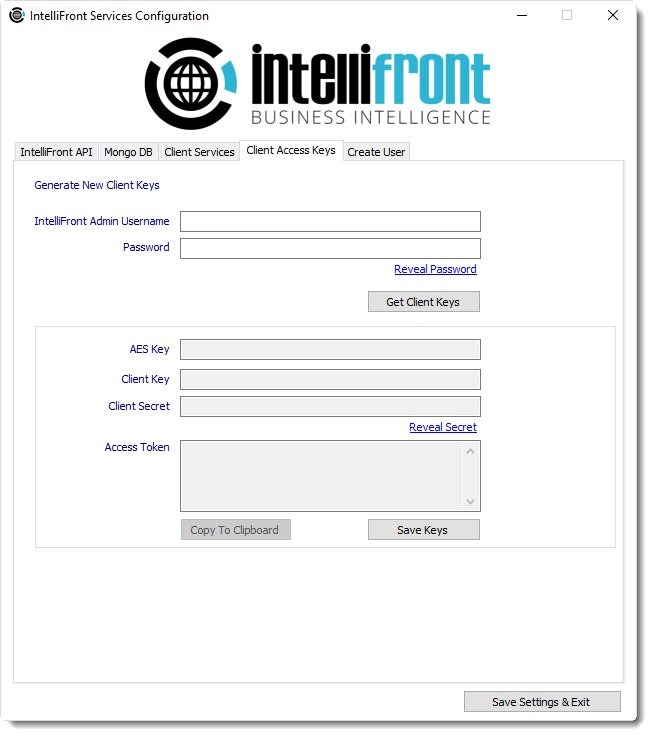 The Client ID and the Client Secret will be populated automatically. Click Install to Install the supporting services. The IntelliFront Set up Wizard will now open. Once all the Wizards have installed successfully the following screen will be displayed. 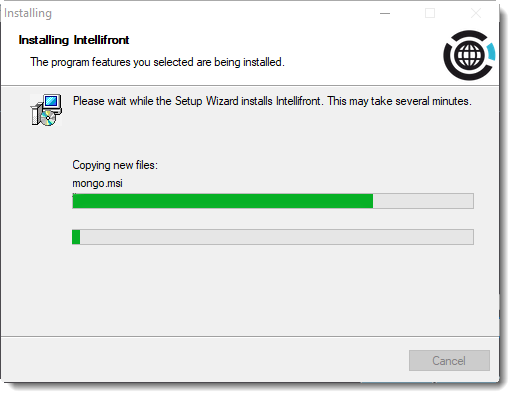 Here you can install a Mongo DB if you wish. 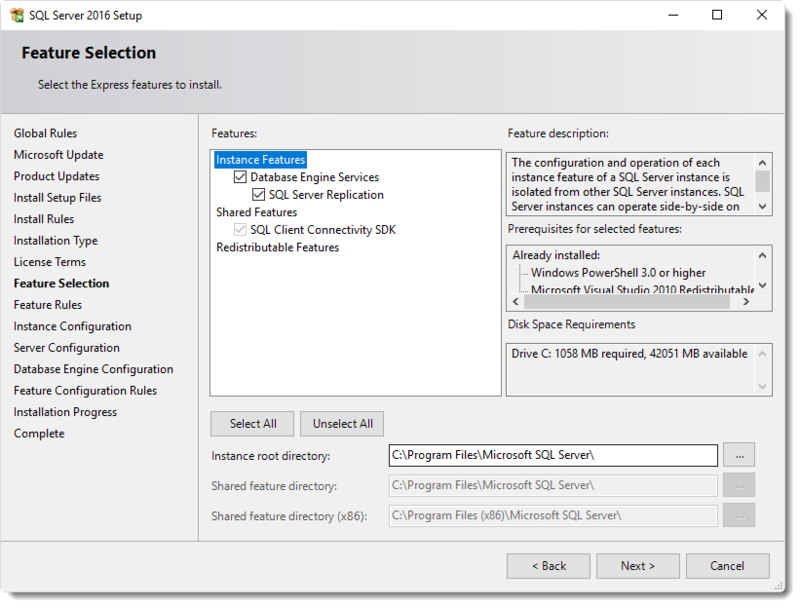 Check the option to install a Mongo DB. Complete the Install location information if you require it to be different from the defaults. Once the MongoDB has been successfully installed the above message will be displayed, Click OK.
Once the Client Services have been installed correctly the following message will be displayed. 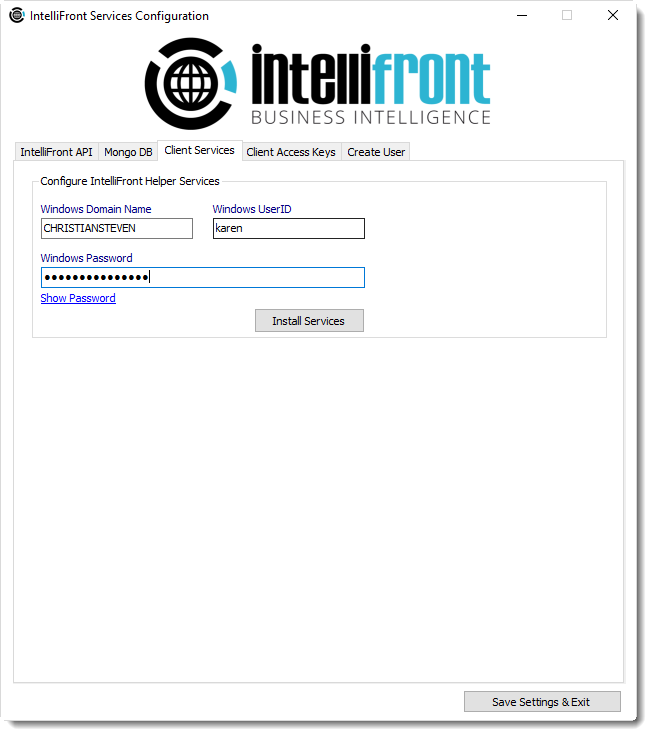 This keys are used for the services authentication to be able to communicate with IntelliFront API. 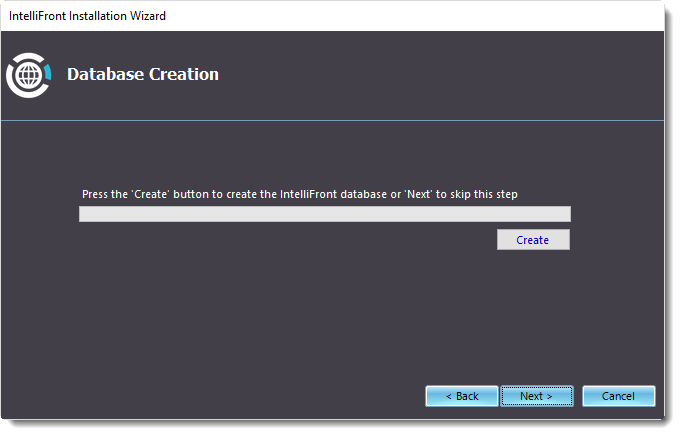 Create an additional IntelliFront BI user here if you wish. Once completed ALL tabs click Save Settings and Exit.